The Age of Wonder: How the Romantic generation discovered the beauty and terror of science. Science between the Banks and Darwin voyages. Age of Wonder plugs an important gap in popular science history books by covering the period between the great scientific revolutions of the seventeenth century (Galileo, Kepler, Newton, and their cronies) and those of the nineteenth century (Darwin, Faraday, Kelvin, and dozens of others). It is a very readable book. Richard Holmes neatly defines his start and end points with two great voyages of discovery: Captain Cook's first voyage to the southern oceans on HMS Endeavour with the future president of the Royal Society, Joseph Banks, on board, and Robert FitzRoy's second voyage to South America on HMS Beagle with Charles Darwin on board. 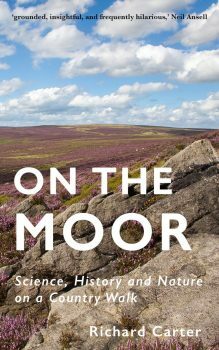 The book, therefore, covers an era when science was beginning to become a proper profession, rather than a hobby for the well-to-do. It also covers an era when the different scientific disciplines were beginning to differentiate themselves. Holmes very sensibly does not try to give a complete history of science for his chosen period. Instead, he concentrates mainly on a few key individuals, all based in Britain: Joseph Banks, Humphry Davy, William and Caroline Herschel. But he does also make more than passing reference to other key players and events occurring at the time, giving a nicely rounded picture of eighteenth century science. As well as giving plenty of coverage to William Herschel's sister Caroline—an early yet overlooked woman of science—Holmes also gives a fascinating account of the balloon mania which swept across Europe following the first manned flights. But Holmes's key revellation as far as this poetry philistine is concerned is just how much the Romantic poets, especially Coleridge, were fascinated by contemporary science, and how much scientists, especially Humphry Davy, had poetic aspirations. The Two Cultures were very much one in Eighteenth Century Britain. In a recent Royal Society podcast [mp3] about this era in science, my former History of Science tutor, Prof. David Knight, criticised Holmes somewhat for not making a clear enough distinction between conjecture and fact. Knight's main example was Holmes's conjecture (not, as Holmes admits, an original one) that a jealous Humphry Davy deliberately endangered his research assistant Michael Faraday by getting him to heat potassium chlorate with sulphuric acid in a sealed glass tube—an experiment which Davy already knew was likely to cause an explosion. There was indeed an explosion, which injured Faraday's eye. Knight made an interesting distinction between history and biography in his lecture: history being primarily concerned with facts; biography, being concerned, amongst other things, with motives, which necessarily require an element of conjecture. But, clearly, biographers need to make it clear what is fact and what conjecture. I think Holmes does make it clear that he is being conjectural about Davy's motives for getting Faraday to perform the dangerous experiment, but I also think that Knight is right, and that such conjecture, if repeated often enough with insufficient disclaimers, can end up being taken for established fact. The history of science is not an exact science.